Item #MS-515: 1.5"-1.9" tall, distinct Red/Orange or brownish Orange Wulfenite Crystal (Los Lomentos, Chihuahua, Mexico) in reddish Brown matrix. Hardness of 2.5 - 3. 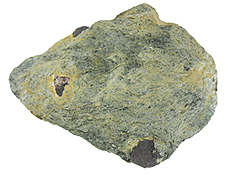 Item #MS-588: Appalachian Garnet from northern Alabama in Mica Schist . 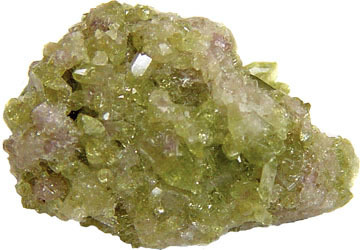 All specimens have at least one Garnet crystal. 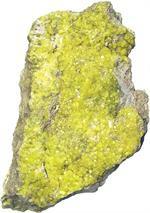 Approximately 1"x1.5"; 75 cts. avg. Item #MS-592: Appalachian Garnet from northern Alabama in Mica Schist . 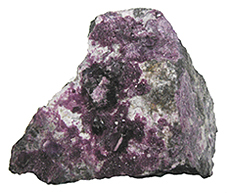 All specimens have at least one Garnet crystal. Approximately 2"x2.5"; 150 cts. avg. Item #MS-713: Approx. 2.5"x4" Garnet in Mica Schist (Alabama, USA) of avg. 500 Cts. TW. Item #MS-714: Approx. 3"x4" Garnet in Mica Schist (Alabama, USA) of avg. 1,000 Cts. TW. Item #MS-991: Approx. 11.5"x6" Appalachian Garnet in Mica Schist (Alabama, USA) of 6.65 lbs. Item #MS-992: Approx. 8.75"x5.75" Appalachian Garnet in Mica Schist (Alabama, USA) of 2.80 lbs. Item #MS-993: Approx. 8.75"x5.5" Appalachian Garnet in Mica Schist (Alabama, USA) of 4.70 lbs. Item #Z-190: 1"-2" shiny, Black Obsidian arrowheads lot of 50 pieces. Item #CH-ARW-15: 1"-2 1/2" Chert Arrowheads; lot of 50 pieces. Item #MS-506: Approx. 1.25” x 1.5” Chinese Tektite from the city of Mao Ming, Guang Dong province in China. Black lumps with small indentations. Shiny spots reveal the presence of natural glass. 20-60 grams. Item #MS-1028: Approx. 4"x3"x1.5" Diamond crystal in conglomerate. Item #AM-DPS-6: Dioptase specimen from Chile. Approx 1" - 1.75" long. 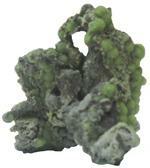 Item #IGM-FCH-MW-11: 3.75" Fuchsite Massage Wand. Item #MS-193: Our bright Pink cubes of Halite, better known as rock salt, come from the dry Searles Lake bed near Trona, California. Approx. 2"
Item #MS-246: Kammererite from Turkey; 3"x1.5"x2.45" tall; 273.53 grams. ; reddish Purple. 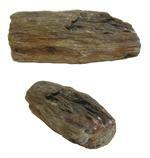 Item #AM-PW-30: 2 1/2" - 3 3/4" Petrified Wood from Madagascar. Item #AM-PW-15: 2" - 2 1/2" long Petrified Wood from Madagascar. Item #IGM-PJ-MW-800: 3.75" long Picture Jasper massage wand. 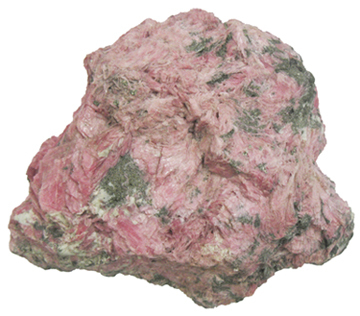 Item #MS-292: 2"x2" Pink Rhodonite Specimen. Our intense pink Rhodonite specimens are from the Chuico Mine in Haunaco, Peru. They exhibit some of the finest crystal structures seen in Rhodonite. 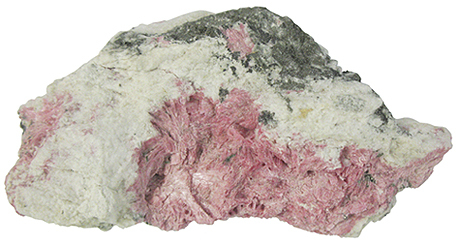 Item #MS-293: 2"x3" Pink Rhodonite Specimen. Our intense pink Rhodonite specimens are from the Chuico Mine in Haunaco, Peru. They exhibit some of the finest crystal structures seen in Rhodonite. Item #MS-294: 3"x4" Pink Rhodonite Specimen. Our intense pink Rhodonite specimens are from the Chuico Mine in Haunaco, Peru. They exhibit some of the finest crystal structures seen in Rhodonite. Item #RC-VH-15: approximately 3x3" Rock Crystal Votive Candle Holder. Item #IGM-PDM-45: Set of 12 1.5" long Assorted Gemstone Pendulums. Click for more details. Item #AM-TPZ-10: Approx. 1.25"-1.75" Topaz specimen from Brazil. Item #ZO-MW-10: 3.5" - 3.75" long faceted Zoisite Massage Wand.